When you join our affiliate program you will be supplied with a range of banners and text links that you can place within your site. When a user clicks on one of your links, they will be brought to our website and their activity will be tracked by our affiliate software. You will earn a 40% commission for each sale. Our program is free to join, it’s easy to sign-up and requires no technical knowledge. Get banners and check your sales. 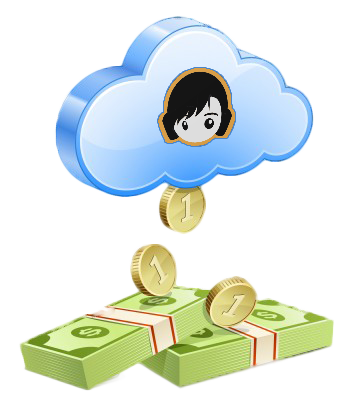 Affiliates are our partners and we want them to make money too! That is why we offer the highest commission percentage. All affiliates receive 40% of each sale, which is nearly double the industry standard. If we take into account all expenses we have, you will earn even more than us! Login 24 hours a day to check your sales, traffic, account balance and see how your banners are performing. Get instant data about the campaigns you do on your Facebook, Twitter, blog, forum signature… Learn what works best and check how much you have earned. It doesn’t matter if you have no technical knowledge or a webpage. Nowadays a Facebook or Twitter account with some fellow followers is enough to spread the word and make a decent amount of money. Sign up now and you will be surprised. Once you sign up you gain access to your control panel where you receive your personal link and your personal banner codes, ready to paste in your website or blog. With your personal link and your personal banner codes we can track the visitors you are sending to us and once they purchase, you get the sale. Each time a visitor comes to our site from your link he gets a cookie which lasts for 30 days. If he doesn’t buy in that moment but he comes back later to do the purchase, you still get the sale. Even if he already knew about TrainYourEars but in any of his visits he comes from your link, you still get the sale! Where can I promote it? You can add a banner in a visible place. You can write a review about TrainYourEars and add your link. You can share the link with your friends and give some positive feedback. Your friends will click the link and if they end up buying, you get the sale. You can tweet about TrainYourEars and add your personal link. Your followers will click the link and if they end up making a purchase, you get the sale. If you are member of any audio forums, you can write a review there and tell people about the software. It’s better if you write something useful about the software. What you think and how it helped you. Again, if you are member of any audio forums, you can add the link to your signature and it will show every time you post. If you are studying in an University or Academy and you think they could be interested in acquiring TrainYourEars for their classes, contact with them to explain how TrainYourEars works and what are its benefits. If they are interested, contact with us and let us know you did the deal. Then, if they finally buy some licenses we will manually assign the sale to you, even if they didn’t use your link. Public Use Licenses are more expensive than Personal Use ones, so you can earn more money here. For example, if they buy licenses for 15 computers, you get 359€ ($487 aprox). More info about Public Use Licenses here: TrainYourEars Public Use Licenses. You can send an email to your friends or colleagues talking about TrainYourEars and add your link there. Remember, if you are going to do a review: be sincere. Tell people what you really think about the software. Tell them how it helped you. Reviews are made by people like you, telling about their experience with the use of the software. Don’t try to overthink it. Just be sincere.